Yeah, I was the same with the majority. Probably because I'm not used to the word "Sopapilla" so it sounds awkward to me. The same might apply to other people. I don't know what happened, but if it put so much stress on you quitting might be the best option for you. But you decide. Peter Rabbit Says Hello! And he managed to become my new avatar as well. 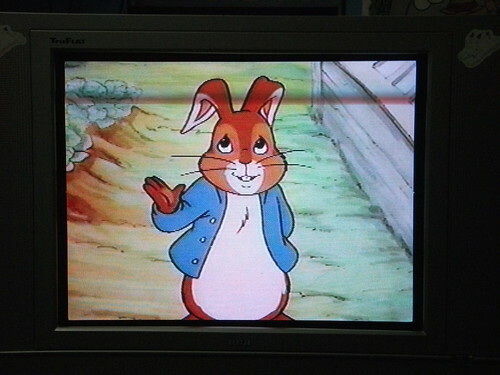 This screen capture is from the 1991 HBO animated adaptation of "The Tale of Peter Rabbit". I found an old VHS copy at a rummage sale or second hand store, and I just converted it to DVD tonight. The tape also had an animated version of "The Velveteen Rabbit" from 1985 as well. The tape itself has seen better days...the cardboard sleeve was well worn, and there were some minor audio issues that I couldn't eliminate during conversion. 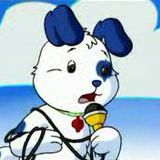 BTW, has anyone here heard of "The Popples?" This is a morning glory. Morning glories and moonflowers, while not the same flowers, belong to the same genus of the same flower family. They have lesser-known relatives in the genus like the "whitestar potato" flower, which looks a lot like them in white. The thing that happened and continues to happen has to do with consequences of earlier this year's stupidity. When the main people in charge hate you, you're not going to have much fun. Most people don't know what I'm talking about. If you don't know, consider yourself blessed. James blames himself. You know, earlier this year's stupidity turned out to not even be necessary. So, James, blaming himself, wants to make everything right for me and that isn't possible because... it just isn't possible. Not to mention that the both of us being depressed doesn't solve anything. That's the opposite of solving anything, and a shared problem of ours is that we're both quick to take full blame on ourselves and look at our individual selves more negatively than we should. Both of us are upset at ourselves, and both of us are in pain to see each other sad which in turn makes us more upset at ourselves. Both of us want to make the other feel better and punish ourselves, so we've been on a metaphorical carousel that took a break in the summer and started cranking up again last week to escalate yesterday. At least the carousel has slowed a bit today, not that it makes enough difference. We are good people, albeit not perfect. We are definitely very nice people. First it was Polar Bears. Now it's rabbits. I watched so many things about rabbits today....two very different versions of "The Velveteen Rabbit" (both from 1985) and that HBO "Peter Rabbit" special I converted to DVD last night. Watched them on a road trip to buy school supplies today. Yeah, I have my own portable DVD player. Really makes long trips go by faster. Dignity repair can now begin. I was only an assistant, so I don't have weeks or a month before leaving. Do it. if a company cannot please you, you don't work for them. This leaves me jobless right before my husband's birthday week. As always, I have no idea what to give him. Today, I [strike]foolishly[/strike] signed up for a footrace that takes place every October. I'll be racing while 17 weeks pregnant with twins! Before you call me completely insane, I've been training before the pregnancy and the race likely won't be an impossible feat. Last year, I came in fourth in my age and gender group. The year before, I came in fourth to last overall. Although there are not a lot of runners of my age and gender, the difference between 2009 and 2010 was still impressive. I know of some women as pregnant as 30-34 weeks who've raced. My heart condition is affected by stress, not necessarily exercise. So, all I have to do is try my best while not feeling too competitive (or sad if I do poorly). I've promised I'll walk away or go off the course and call James, if I feel too tired! Usually, the craziest paths in my life - some of the best and some of the worst - come when, ironically, I don't act prudent!